When you think of Orlando you will most likely think of long, hot summer days, white sandy beaches and theme parks to make an adrenaline lover frenzied with excitement. It's the perfect family getaway. From splashing out on theme parks, to picking out on delicious dining, to catching some rays – here are some top picks. Sea World theme park is home to everything from Beluga Whales and dolphins to manatees and pelicans and enjoy a variety of activities. Don't miss Blue Horizons in the famous dolphin theatre. Book early to avoid missing out and get there 30 minutes early as it fills up really quickly. Sea World is one of six major parks (SeaWorld, Aquatica, SeaWorld's Waterpark Orlando, Universal Studios Florida, Islands of Adventure and Wet n Wild). If you are staying for more than a week, you can buy a FlexTicket which allows you into all of the parks, they are pricey but totally worth it. Whatever happens do not miss The Incredible Hulk coaster- a 150ft roller coaster which travels at speeds of up to 67mph. It is two minutes and 15 seconds of absolute terror- in a good way of course. Close to the Lake Virginia, near the Botanical Gardens, is every food lover's dream: the Ravenous Pig. 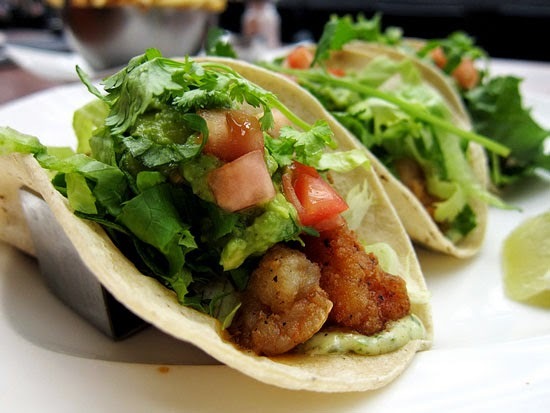 Their delicious gin rubbed venison, served with black pudding, is to die for and the crispy rock shrimp tacos, made to order in house will blow you away. But don't worry, pork isn't the only option at this cosy eatery, you can sample the freshest of sea food too, such as regional Yellowfin tuna, rubbed in aleppo pepper and beautifully seared in lemon butter, it have your mouth watering from the first bite. So whether you and your partner and spending a romantic evening alone or you want to feed the whole brood- the warm, friendly service and laid back dining style is designed to suit everyone. You can even have a walk around the gardens after a slap up feast! Once called 'the most famous beach in the world' Daytona Beach is home to white, sandy stretches and crystal blue water, made better only by catching a glimpse of the dolphins which spend the summers there. If an afternoon on your sun lounger, there are plenty of activities to keep you occupied. Guests can try their hand at fishing, paddle boarding, surfing or visit one of the many shopping centres by the beach. Head to Zeno's Boardwalk Sweetshop and sample Florida's world famous taffy. If you simply fancy a quiet drink, there are plenty of great little bars nearby so you can enjoy a glass of wine and enjoy the beautiful view of Florida's most iconic stretch whilst watching the world go by. 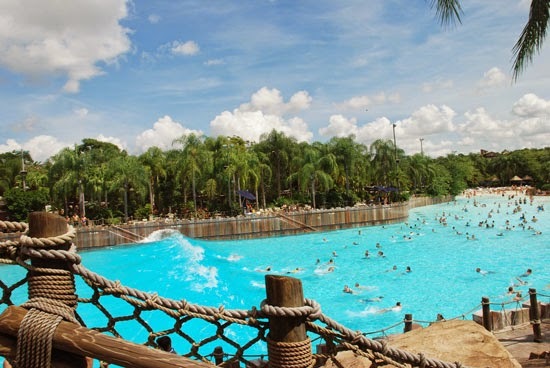 Images by Typhoon Lagoon and Jen Chan, used under the Creative Commons license. Orlando is such a beautiful city to explore. We went there a couple of years ago.